You are here: Home / Managed Moms / Santa Tote Bag Winner! Thanks to all who entered! These tote bags are hot items! 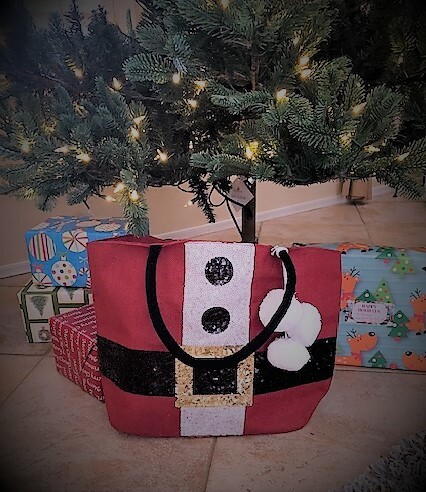 Before we announce the winner of this fun and festive Santa tote bag, we must thank Teresa with Teresa’s Creative Gifts for sharing this awesome prize with managedmoms.com to give away! Be sure to check out her online unique gift boutique at this link! And now let’s announce today’s winner of the darling Santa tote! Random.org drew…. Rosanne Coloccia from Phoenix, AZ!!!! Congrats to Rosanne and stay tuned for more prize giveaway drawings as we count down to Christmas!!! congratulations Rosanne! All of Teresa’s bags are amazing and I should know,because I own several of her bags over the years now! This brand is made of the highest quality! Enjoy your gift!!! Thanks for leaving a comment, Christine! I so agree with you about Teresa’s high quality items! She is the best!